If you are one of the many podiatrists who have been reluctant to prescribe wound care because of the overwhelming paperwork involved, you are not alone. Up until recently, the process of prescribing wound care has been archaic and time-consuming. Finally, there is another way! Let’s take a look at how digital submission of your clients’ wound care prescriptions can free up time and money for you and your patients. Recently, a new process for prescribing wound care solutions has been introduced that’s easy and efficient. The recent partnership with iRemedy has allowed us to streamline the wound care prescription process, leading to more income and better client satisfaction. 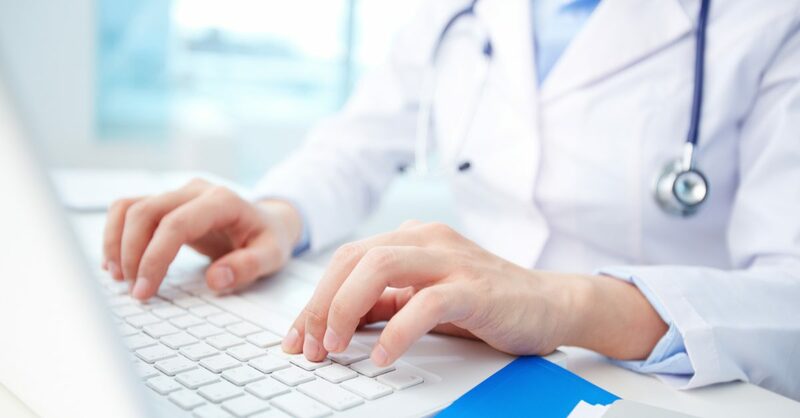 The process is simple—submit your patients’ wound care prescriptions online, and we’ll handle claims, insurance verification, wound care package preparation, and shipping. Because the process is handled electronically, you and your staff won’t have to waste time filling out paper forms and faxing them to the supply company. Digital filing also eliminates going through the long process of waiting for a reply and having to resubmit any necessary changes in order to able to fulfill the request. The simple process of digital prescribing frees up time and allows you to put your focus back on the patient. This revolutionary program ensures that supplies are put together and shipped directly to the patient’s home in a timely manner. It also allows you to generate revenue and reduce the amount of time spent on prescription management. You dispense and profit from wound care supplies through your DME license—not the billing or supply company. E-prescribing is growing rapidly—not just because the technology has improved but because of the substantial benefits for patients and physicians. Podiatrists, by nature, may be the first to diagnose chronic wounds due to the growing number of people with diabetes and subsequent foot problems that follow. There are many wounds that surface on the feet first, which makes a visit to the podiatrist an obvious choice. If you have been hesitant about offering wound care, we implore you to reconsider, as wound care is becoming a focal point of the podiatry practice. The ability to successfully and efficiently fill wound care prescriptions for your patients offers many benefits to both doctor and patient. Save Money: Using an e-commerce system eliminates much of the overhead costs associated with medical supply companies. These savings are then passed on to the prescriber and patient. Save time: Wound care kits are quickly and conveniently delivered directly to each patient’s front door. No trips to the pharmacy or waiting in lines. No guesswork: Digital prescribing drastically reduces prescription mistakes, ensuring that your patients are getting exactly what they need. Wound care kits are complete and provide patients with everything they need to successfully treat their wounds in the comfort of their own home. Podiatrist and patient are on the same page: The likelihood of follow-through with at-home wound dressing is much higher when the patient has all of the supplies they need. A proper demonstration during their office visit is recommended to ensure proper dressing. Due to extensive knowledge of biomechanics, offloading, and debridement, podiatrists are more than capable of diagnosing and healing chronic wounds. The ability to combine this knowledge with the right supplies creates a recipe for success within your practice. Doing so eliminates the need for your patient to seek other treatment when it is not necessary and leads to better patient satisfaction. Correct wound care that starts early is now a realistic possibility, without the headache of paperwork. Offering wound care kits to patients can ensure that their needs are met and catapult your practice to the next level. By having the convenient option of digitally prescribing wound care kits, your patients can feel the confidence for healing they are seeking. There’s never been a better way to make your practice more profitable for you and convenient for patients.